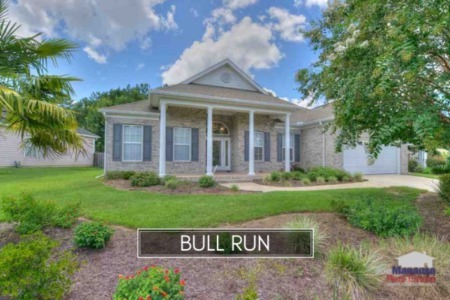 What do you know about the average home in Tallahassee? With today being the final weekday of 2017, it seems like a great time to take a real estate market snapshot to determine average home prices, average home values, average home sizes, and look how 2017 shaped up when compared to previous years. The graph below compares home sales in Tallahassee (by property type) this year with past years. Of course, with today being the last day of the year, more sales will be reported today so we know that 2017 will have better results than reported here. 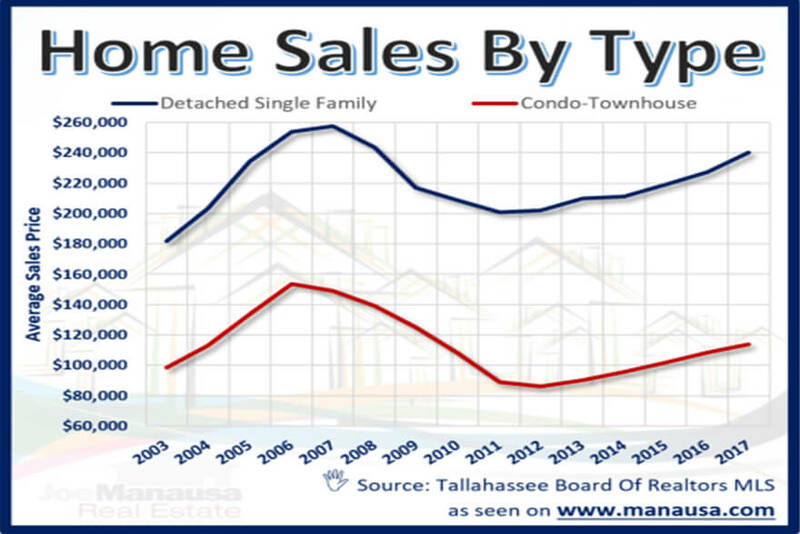 This first snapshot of the Tallahassee real estate market shows that single family detached home sales should end the year higher than last year, while condominiums and townhouses have already exceeded last year's numbers. The next market snapshot calculates average home prices by type. The blue line shows the average single family detached home price, while the red line shows the average price of condominium/townhomes. The average single family home price has reached $240,000 in Tallahassee, while attached housing remains below $120,000 (less than 50% of a single family detached home). 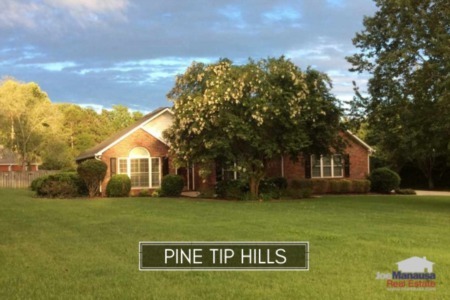 Our next snapshot shows homes of all type are appreciating nicely again in Tallahassee. 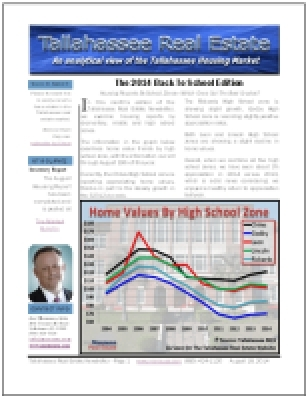 The average value of all single family detached homes sold in Tallahassee this year is $126 per square foot. Of course, this combines new homes with existing homes, so you should take this number with a grain of salt if you'd like to know the value of your home. Condominiums and townhouses are reporting an average value of $95 per square foot ($93 for condos and $99 for townhouses). Our final view of the Tallahassee real estate market shows average home sizes by type. Currently, the average single family detached home is roughly 1,914 square feet of heated and cooled space, while the average townhouse/condominium is 1,198 square foot (townhomes this year average 1,211 square feet while condos averaged 1,175 square feet). I hope this snapshot gives you an idea of what you can expect from the housing market in Tallahassee today. If you would like to know more about the Tallahassee real estate market and how it impacts your individual situation, simply give us a call at (850) 366-8917 or drop us a note and let us know how we can help.